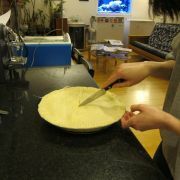 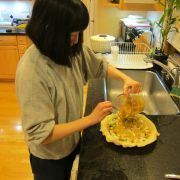 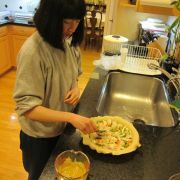 Linda is often inspired to develop recipes for contests. 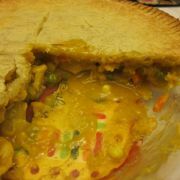 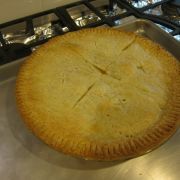 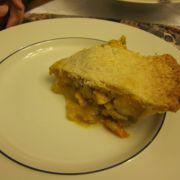 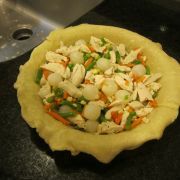 I forget what TJ's was offering, but she made a very tasty curry chicken pot pie. 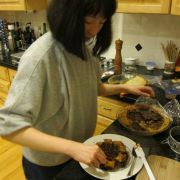 I added some soft-cooked sous vide eggs on mache to the mix, and we finished off with a chocolate-bacon-peanutbutter pretzel pie. 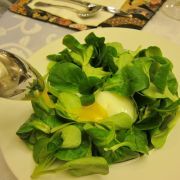 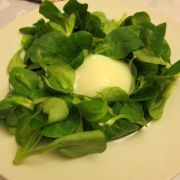 Mache salad with sous vide egg.